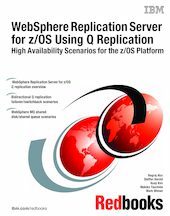 This IBM Redbooks publication provides detailed instructions and scripts for managing failover and switchback in a WebSphere Replication Server for z/OS bidirectional Q replication environment for the z/OS platform. A typical business scenario is used to showcase the bidirectional failover/switchback implementation. This book also includes a WebSphere MQ shared disk and WebSphere MQ shared queue high availability scenario for the source system in a Q replication environment involving unidirectional replication. Key considerations in designing and implementing such environments are discussed. This book is aimed at an audience of IT architects and database administrators (DBAs) responsible for developing high-availability solutions on the z/OS platform.